'50 120 Alloy Roadster. No. 111 JCNA Winner. 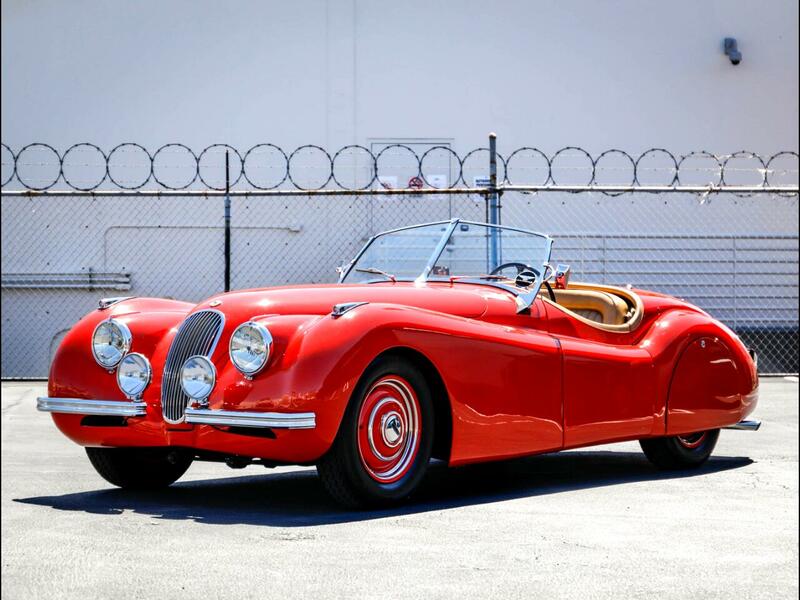 Chequered Flag International is pleased to offer this 1950 Jaguar XK120 Alloy Roadster in Red with Biscuit interior and Fawn top. Number 111 of 242 Aluminum cars built. Correct colors and engine numbers per Heritage Certificate. Replacement cylinder head. Restored to concours standards in the late 80's and scored 99.36 points winning best in class at Oregon's 4th biennial JCNA concurs event in Bend August 1989 Refreshed in 2017 at XK's unlimited in San Luis Obispo. Still in magnificent condition and offered at a significant reduction from its 2017 sale price. Comes with tonneau, tool kit and jack. Inspections encouraged. All sales AS-IS. Sales tax and license fees due if delivered in California. Message: Thought you might be interested in this 1950 Jaguar XK.